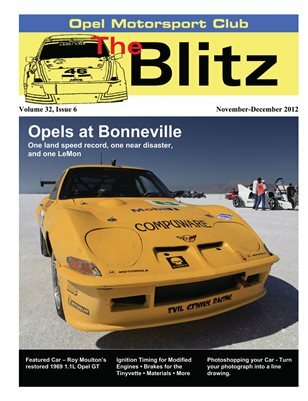 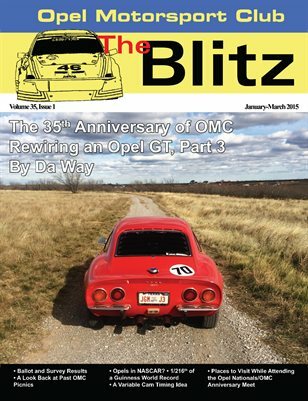 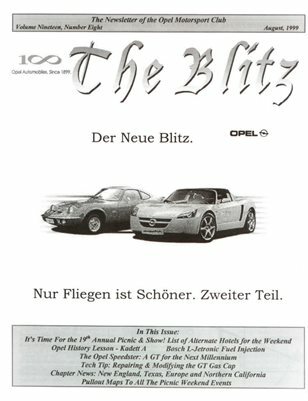 The Opel Motorsport Club has been supporting the classic Opels community since 1980 and has been publishing its newsletter, The Blitz, since 1985. 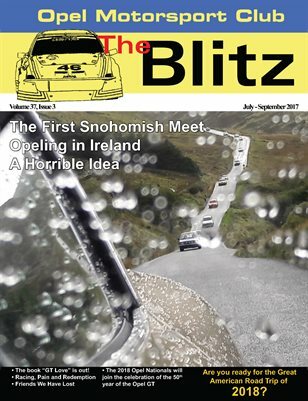 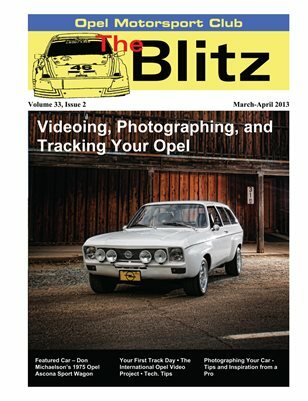 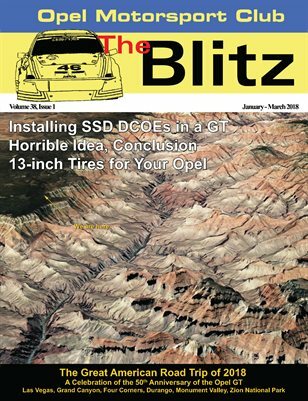 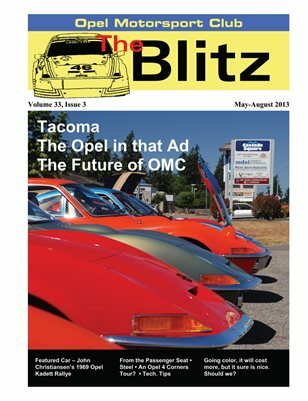 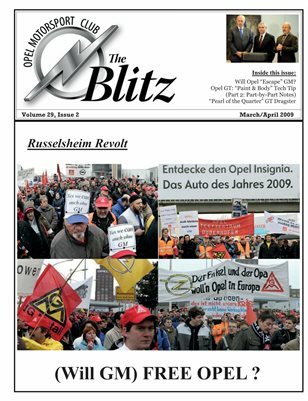 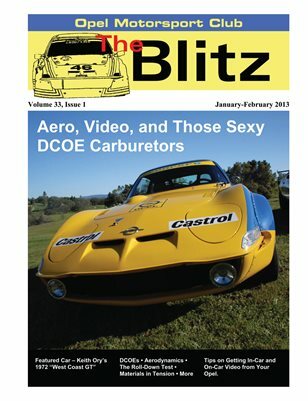 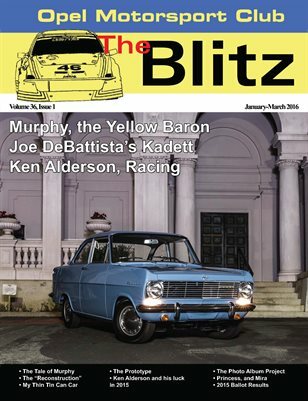 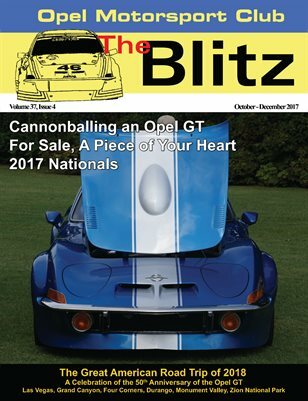 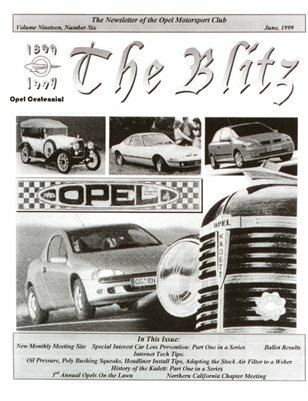 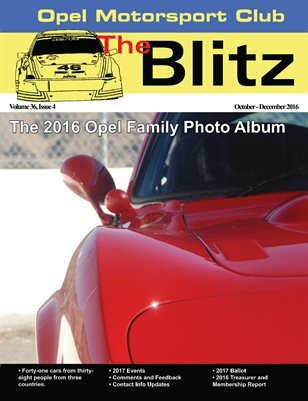 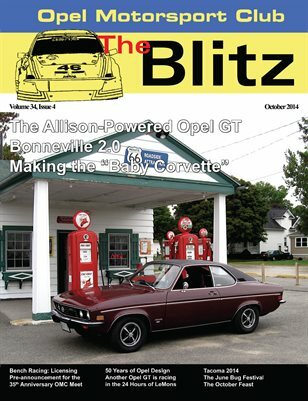 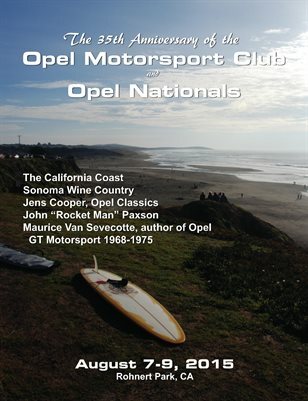 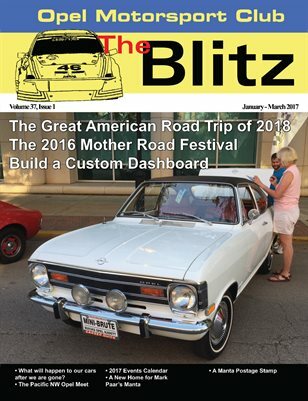 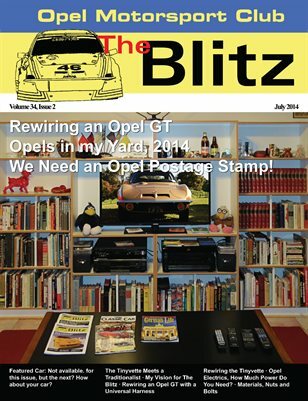 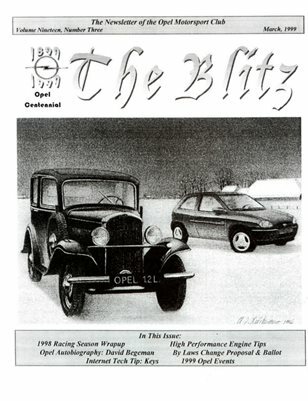 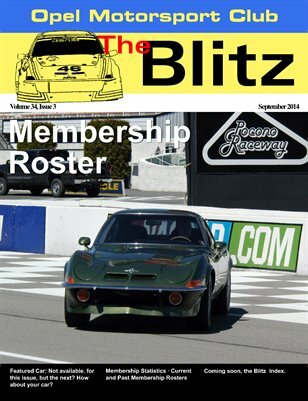 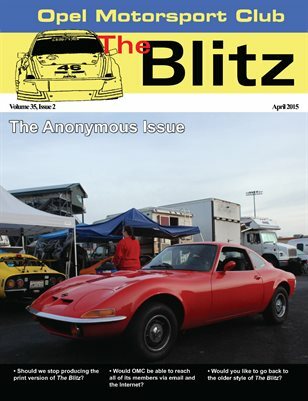 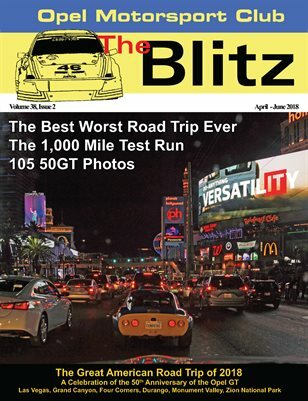 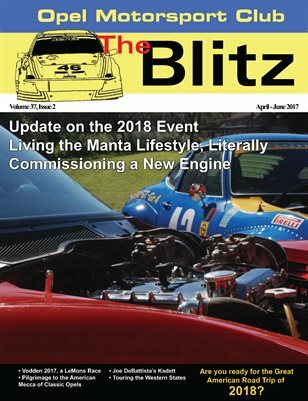 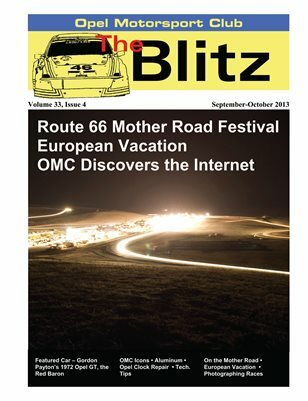 Articles in The Blitz cover many subject areas, including the technical aspects of maintaining and improving Opels, racing, touring, club events, industry news, and stories about people living the active Opel lifestyle. 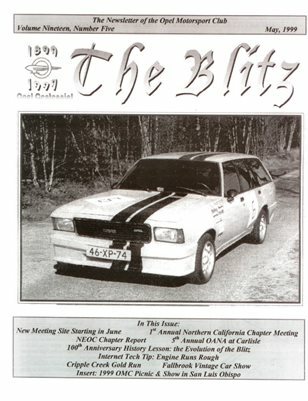 Promoting the 50GT event, concluding the Horrible Idea story, 13-inch tires, single side-draught installations. 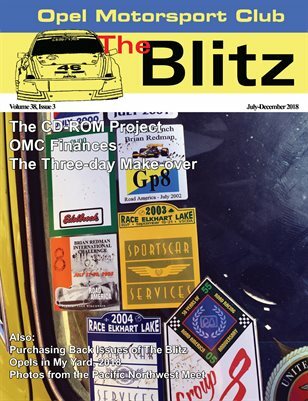 This issue is dedicated to the 50GT celebration and tour. 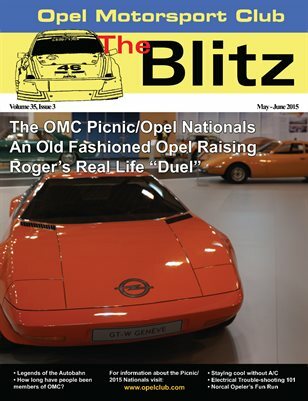 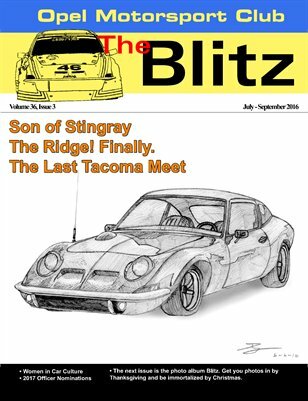 The Allison-Powered Opel GT; Bonneville 2.0; Making the "Baby Corvette"
The OMC Picnic/Nationals; An Old Fashioned Opel Raising; Roger's Real Life "Duel"
The Great American Road Trip, Mother Road Festival, Build a Custom Dashboard. 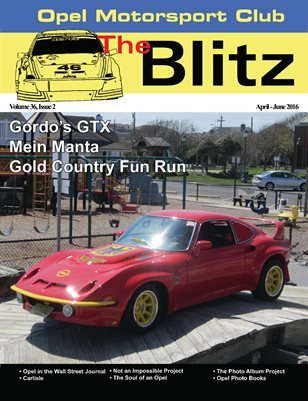 The March 1999 issue of The Blitz: 1998 racing season wrap-up, high-performance engine tips. 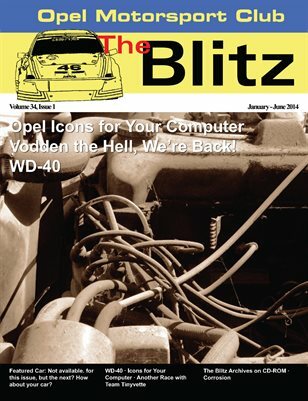 The June 1999 issue of The Blitz: squeaky poly bushings, adopting a stock air filter to a Weber.